3. 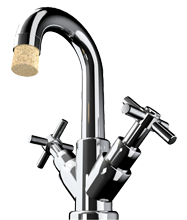 Cycle water supply / shut off valves under sinks, toilets, behind the dishwasher and washing machine. Under normal circumstances, these valves rarely get used, so the plastic and rubber parts inside one of these valves can turn brittle, and at some point, may start to leak. 4. The water pipe fixtures on many washing machines are made out of a hard resin plastic, molded with threads to connect with the supply hoses for hot and cold water. The two fixtures extend from the back of the appliance and can easily break or crack during a move, or even moving the washing machine so you can sweep behind it. 5. If you notice a leaking valve, replace it as soon as possible. It doesn’t take long for water to damage the framing of your home, the floor, and the sink cabinet. Keeping an eye on the health of your home’s water fixtures and supply valves can save you valuable time and money in the long-run. Like most things, early water leak detection is key, but when it gets to be a problem you don’t want to solve, it’s best to call your local Tulsa plumbing experts at Circle B Mechanical! We can detect water leaks before they cause any damage, and properly replace malfunctioning parts with the highest quality parts available at an affordable price. 1. Ensure that all drains have strainers to prevent debris from clogging your drain lines. 2. 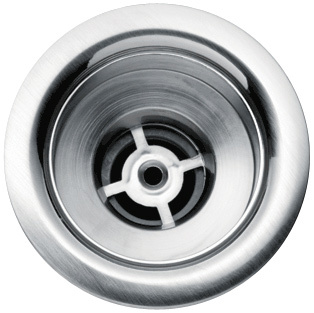 Avoid putting excessive amounts of food into the garbage disposal. Use the garbage disposal for small scraps, and the trash can for the big stuff. Coffee grinds, banana peels, bones, eggshells and grease are difficult for your garbage disposal to pulverize and may cause damage to your system. 3. Pour about a gallon of water into infrequently used drains (including floor drains). This will fill the trap and prevent odors from entering the house. 4. Slow floor drains should be periodically snaked to ensure they will carry away water quickly in the event of a flood and, also, to prevent water from sitting in the pipes that may freeze and burst during the winter months. 5. We do not recommend using drain cleaning chemicals for several reasons. Most drain cleaning chemicals are very toxic, which creates a potentially lethal hazard to keep around the home if you have children or pets. If these cleaning chemicals do make it down the drain, they are released into the ground and polluting the environment. The toxic chemicals can also have a negative effect on your home’s piping and plumbing. This entry was posted in Plumbing Maintenance and tagged Clogged Drains, Garbage Disposal, Preventive Maintenance, Water Leak Detection. Bookmark the permalink.